The Saint Mark’s Legacy Endowment was established in 2015 through the generous giving of parents, grandparents, alumni, parents of alumni, and foundations, as Dr. Doreen Oleson ended her 25-year tenure as Head of School. For years to come, the Legacy Endowment will provide increased tuition assistance for students, professional development for faculty and staff, and overall financial strength for the school. Contributions to the Legacy Endowment are an investment in the future of the school. 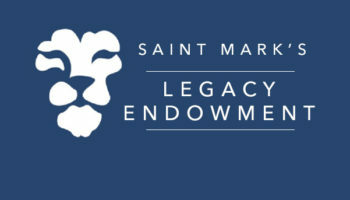 For more information about the Legacy Endowment, please contact Irene Mason, Director of Advancement, at irenem@saint-marks.org or 626-798-8858.
donate to the Legacy Endowment.